Short version: this is a big wait-and-see. The Windows version is apparently both huge and crashy. Once it gets a little more stable and the KDE install bits get pared down, this could be a powerful addition to the portable community. Last edited by webfork on Mon Aug 19, 2013 2:44 pm, edited 1 time in total. The Windows build of Version 6 will include Dr. Mingw, which is a Just-in-Time (JIT) debugger. Version 6 has additional features, including video management support. Great news, I look forward to seeing what the new version holds. Thanks! As Stephen Leibowitz suggested earlier in the thread, the program did see some really positive updates. I retested recently and the crashing discussed previously seems to have mostly been worked out. Also, this program did *finally* add a functionality I've been looking for: you can select multiple thumbnails and modify just those items for size, color, conversion, filters, etc. Wonderful news. Status: Not portable, writes to C:\Users\USERNAME\AppData\Local\digikamrc. Also writes to \AppData\Local\kxmlgui5\digikam\ I was also unable to determine how to get the photos database to work within the local folder. Resource: Still huge; the download is 275 megs, install is 1.3 gigs, RAM was 313 megs on my Win10x64 system. Again, this is a feature monster so at least this is one program who's size is comiserate to the features, but it's probably unwise to have it running in the background all the time. 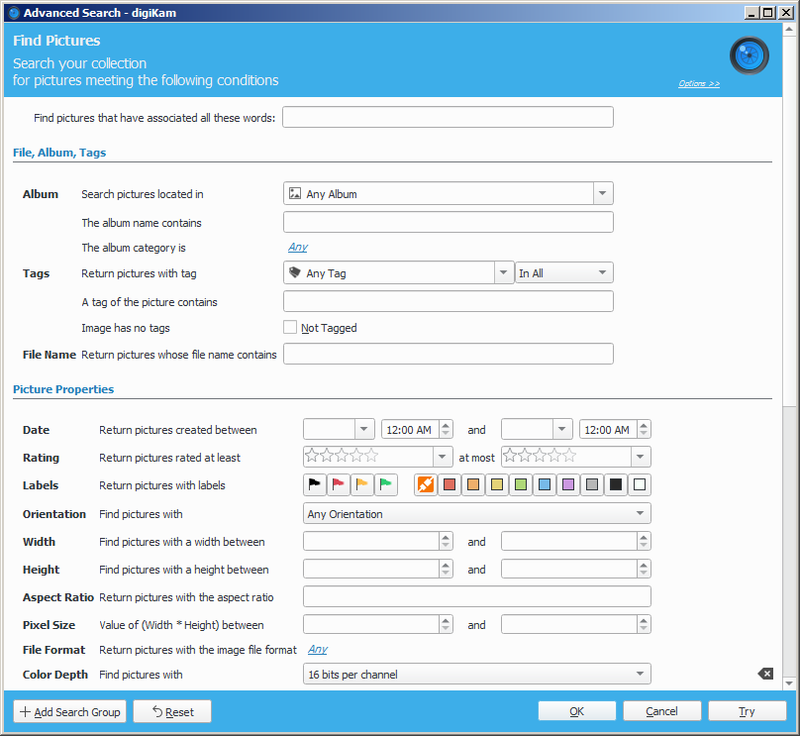 Comparison to other programs here on the site: Like PhotoDemon, the program is primarily targeted to photographers and not for standard image addendums for screenshots, such as arrows, text, boxes, etc. Probably PhotoScape is the best program to play in both camps. The most prominent addition is a new plugins interface named “DPlugins” for Generic, Editor, and BQM tools. Also, the Dr. Mingw debugger component has been updated from version 0.8.2 to 0.9.1.